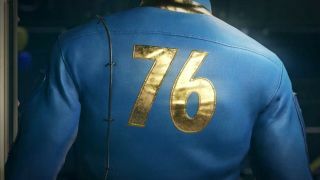 Following a livestream that’s proven we really don’t need vaults to perform sick social experiments, Bethesda has finally confirmed that it's going to be releasing a new game known as Fallout 76. This suggests that the game will be set much closer to the aftermath of the nuclear war than most other Fallout games and the song West Virginia playing in the background we're willing to bet the setting is around the Washington DC area. Could we be playing as one of the first people to venture into the Wasteland after the war? Kotaku's Jason Schreier has suggested that the game will involve online gameplay of some kind (though not MOO gameplay). Certainly, if this is the early days of the Wasteland we're not sure we'd like to venture alone. However, nothing has officially been confirmed with regards to gameplay or even platform just yet. The livestream, which first went live on Twitch on May 29, had been going for just under a full day before the trailer. With nothing more than a Vault Boy figure and a TV with ‘Please stand by’ on the screen, the stream managed to hold the attention of tens of thousands of people at a time. Just before the trailer went live there were more than 153,000 people watching the stream at the one time and we’re certain we never saw the number drop below 30,000. Admittedly, sometimes members of the team behind the stunt would appear on screen to perform a puppet show, scatter some confetti, or move the Vault Boy watch which was eventually added, with every movement being seized upon by those watching as some kind of clue about what was to come. With this tease out of the way, we now know we'll see more from the game during Bethesda's show at E3 2018.